Eduard Moldovanu and his family were struggling with high energy bills and keeping their house warm during the cold winters in Moldova. They had planned to replace their old gas boiler with an energy efficient biomass boiler for a long time, but never managed to save enough money. When Eduard talked to the MoREEFF team, he was fully convinced that he should act quickly and apply for a MoREEFF loan. The €1,698 MoREEFF loan was quickly approved and a new biomass boiler was promptly delivered and connected to the existing system of pipes and radiators. The old gas boiler was kept as a backup option. Eduard Moldovanu is a carpenter by profession and all the wood waste from his production is now used as fuel for the new boiler. 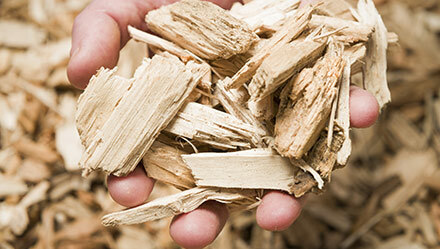 The family achieves double savings: the biomass boiler is very efficient and consumes waste from the wooden doors and windows production, which is a free fuel unlike gas. The investment generates cost savings of €760 per year and will be repaid from energy savings in just two years. This is an example of smart investing in energy efficiency and wise use of resources. It proves that energy efficiency measures are possible in all types of sectors and provide strong benefits to end users.